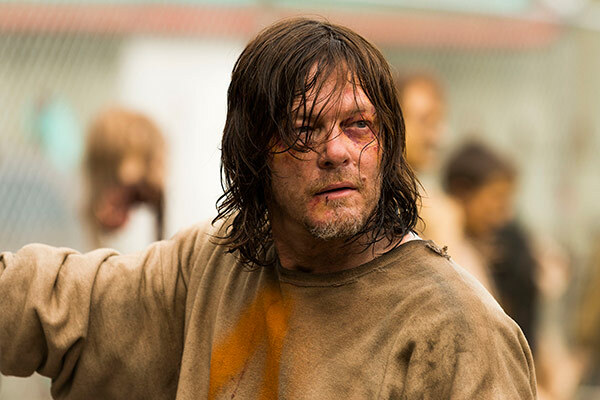 We were starting to wonder when this season of The Walking Dead was going to get started. Finally, in season 7 episode 7 ‘Sing Me A Song’, things began to fall into place. The pace hastened and vital characters moved into precarious positions for what we hope is a finale to match the sensation of the season opener ‘The Day Will Come When You Won’t Be’. Much of the renewed success was due to the reappearance of Negan. After a much-needed break from the sadistic Saviours leader, ‘Sing Me A Song’ brought him back in a chilling crescendo. Even better, we got a glimpse of the Sanctuary again through the eyes of a guest – rather than a prisoner – in Carl. We glimpsed the day-to-day functioning of the Sanctuary in ‘The Cell’ through Dwight, but ‘Sing Me A Song’ brought Negan’s world into even sharper focus. We gained further insight into Negan’s personal situation (wives galore), the strict rule system of the Sanctuary and the punishments inflicted on those who disobey the rules. The dynamic between Negan and Carl was a highlight of ‘Sing Me A Song’. 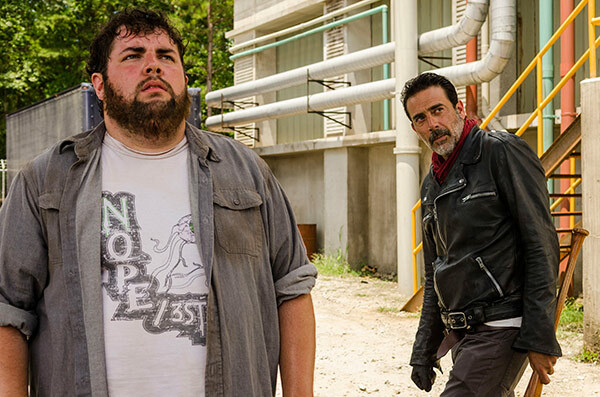 Negan positions himself as an alternate father figure, and Carl – despite himself – responds. Negan plays his mind games differently with Carl, and something emotional passes between them when Carl removes the bandages that cover his gruesome missing eye. Later, Carl’s fear seems to evaporate. It’s not clear how their relationship will progress in the coming episodes, if at all, but there is something fascinating about their connection that is begging to be explored. ‘Sing Me a Song’ contained a lot of build-up for next week’s midseason finale. Daryl has time to make a break for it. Rick and Aaron have found a great number of supplies. Elsewhere, so has Spencer, but he’s fed up with Rick’s leadership. Rosita and Michonne seem to be on (separate) one-woman missions to murder Negan. Eugene is apprehensive about doing anything. Oh, and Negan’s at Rick’s place having cuddles with Judith. While the buildup for the next episode is definitely necessary, it felt very much tacked on to ‘Sing Me a Song’, which would have been more effective if its sole focus was on Negan and Carl. To make everything fit in, ‘Sing Me a Song’ was an hour and a half. 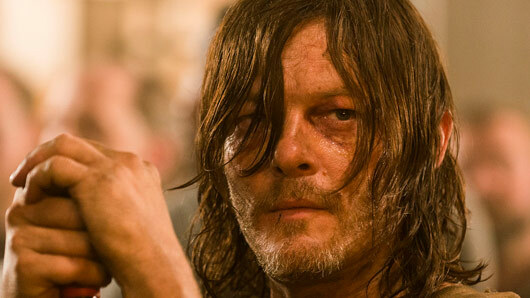 If The Walking Dead needs to move characters to certain places for the sake of an exciting season finale, it would serve the story better to begin this process before the penultimate episode. All in all, ‘Sing Me a Song’ managed to drive the plot towards a midseason finale (if a little haphazardly) while still being watchable. This was mostly due to the presence of Negan. Even if you’re lukewarm over season seven as a whole, and it looks like some US fans definitely are, there’s no denying Dean Jeffrey Morgan has been a sensation this season.